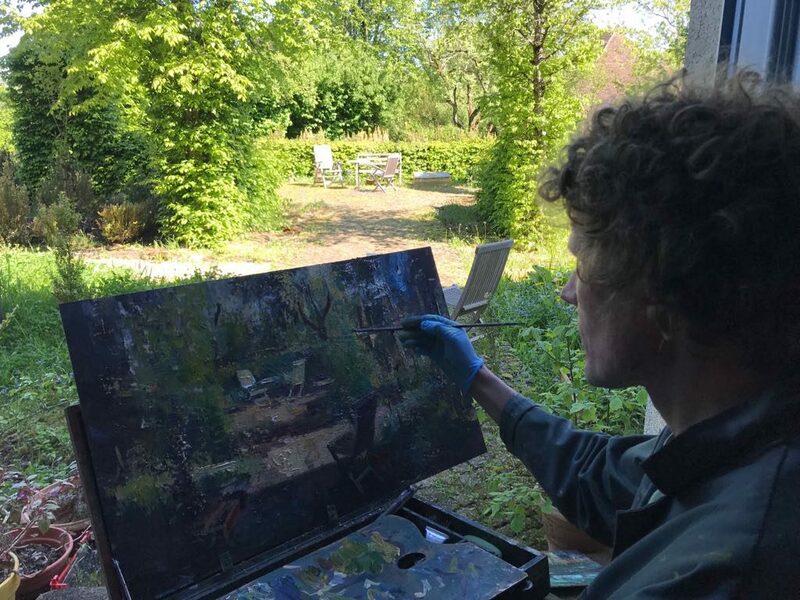 In May, Simeon was busy working on a number of garden pieces en plein air (pictured). This fall we will publish a new short video, in which Simeon will allow the viewer an inside view into his painting techniques. September will bring a group exposition at Galerie Wildevuur. A solo exposition with the same gallery will follow in March of 2019. In addition, Simeon is working on an assignment for a large interior piece. Follow recent developments in Simeon’s atelier via Instagram en Facebook. Follow Simeon on Instagram and Facebook!